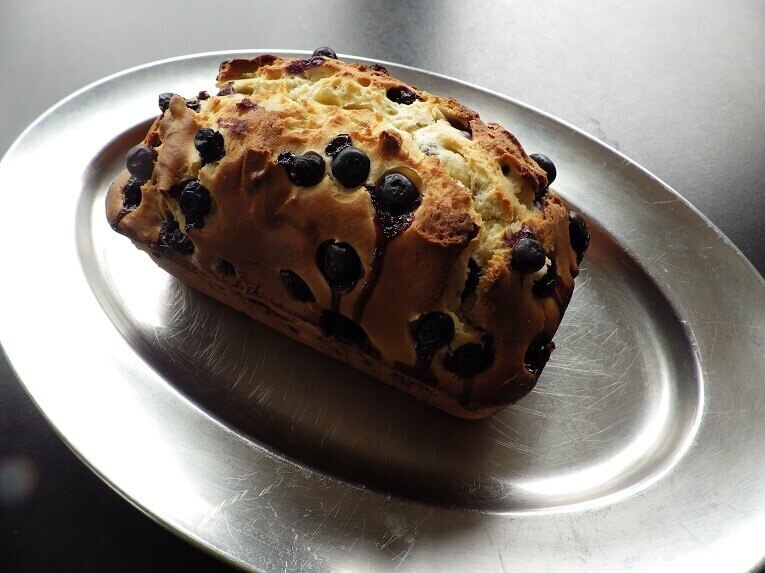 Blueberry bread is made with fresh blueberries and every bite delivers a burst of blueberry flavor. 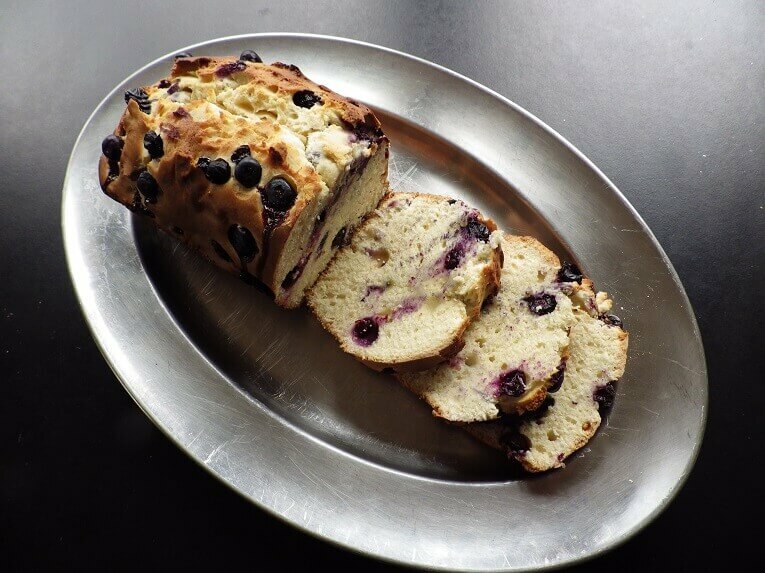 It’s a great dessert bread and perfect at tea time with tea or coffee. It’s also surprisingly good with many savory dishes like beef and pork and wild game. In fact, an Eastern European venison recipe is famous for it’s brown blueberry sauce. 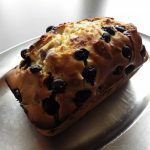 This recipe is actually a cake bread or batter bread recipe, and the final product before baking has a batter-like consistency. 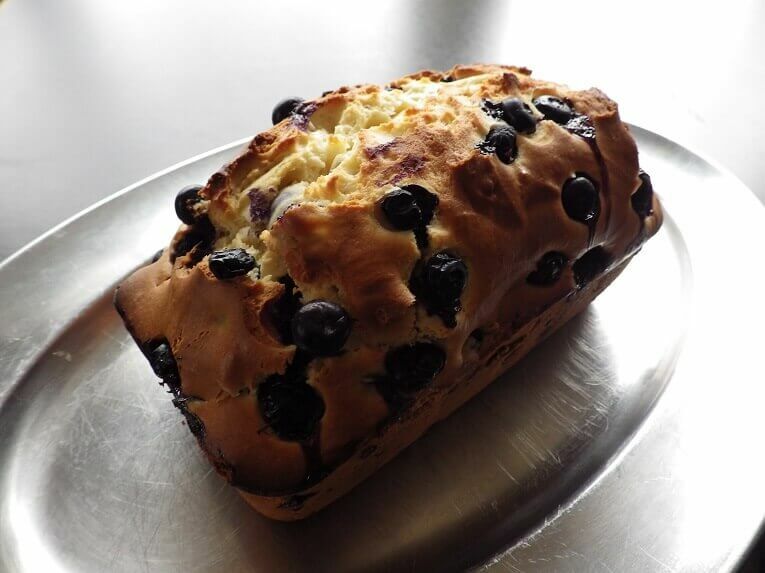 This is due to the fact that baking powder is used instead of yeast. 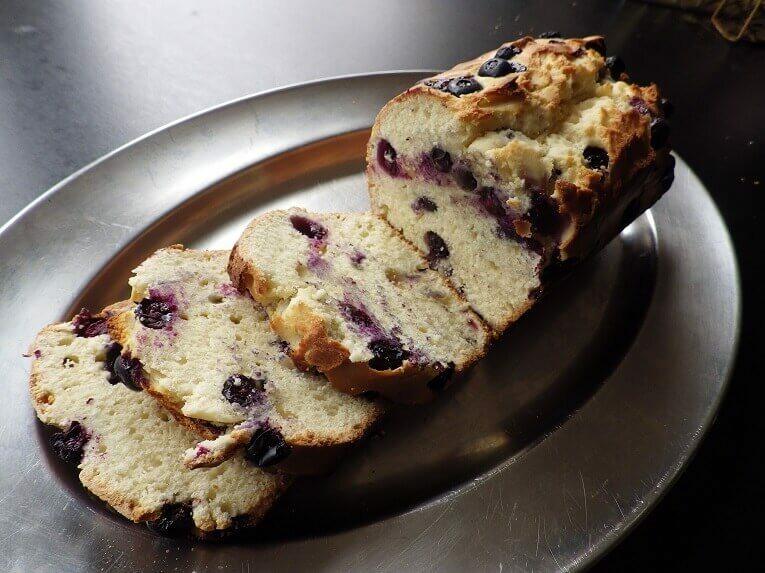 Because the batter is without yeast it creates some challenges for anyone using their bread machine to make this recipe. 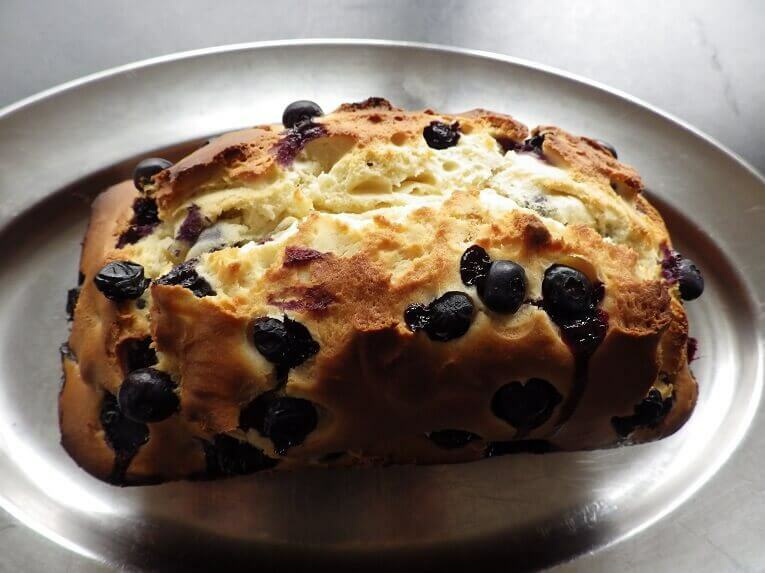 Don’t add the blueberries during the mixing cycle or kneading cycle. 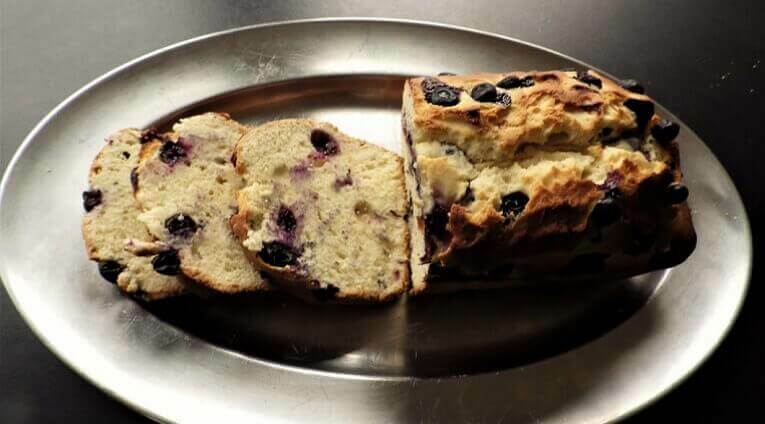 Wait until the batter is well blended and done mixing and then add the blueberries and fold them into the batter with a spoon of plastic spatula. 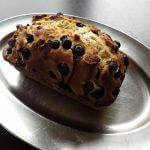 Fresh blueberries are very tender and if subject to the kneading paddle of the bread machine will burst. 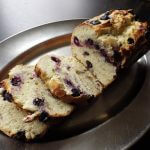 The result will be a purple dough and loaf lacking the burst of blueberry flavor that you get from whole blueberries in the loaf. 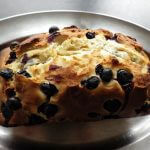 After you folded the blueberries into the batter use your reserved blueberries to top the batter before baking. 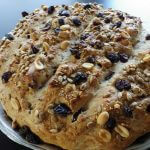 Add all of the ingredients to the bread machine bread pan in the order indicated in the ingredients list and select the batter bread or cake bread setting for a 1.5-pound loaf. If it asks for a crust setting, select medium crust. Select a setting that does not have a rising cycle at the end of the setting such as a pasta dough or cookie dough setting. 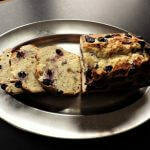 If you use the standard dough cycle, pour out the batter into a lightly buttered 8-inch square glass baking pan after the kneading or mixing cycle, and before the rising cycle begins. 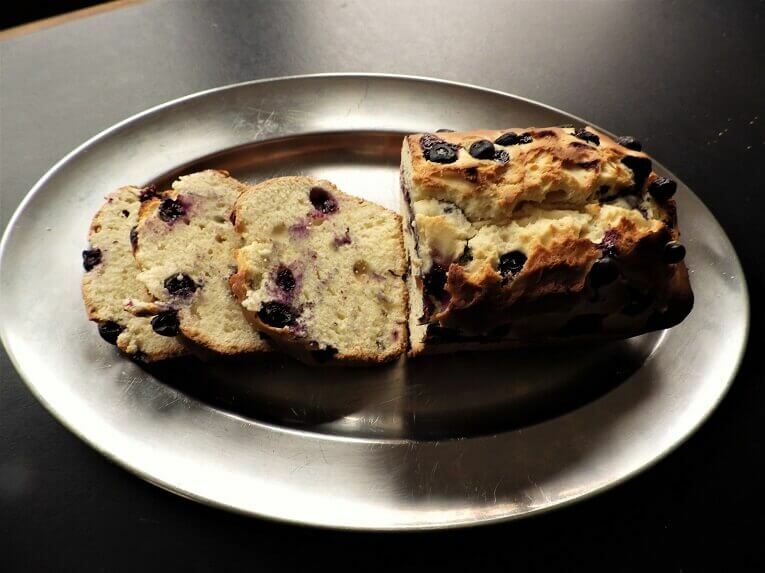 Fold in and top with the blueberries after you’ve poured the batter into the baking pan.